This afternoon Jaxon and I met a friend for lunch. I decided to document the different phases of getting ready. It's usually a fast process for me, because it has to be! I went from the top photo to the bottom photo in 10 minutes flat. I would have been faster but I threw eyeshadow into my daily routine. I pulled out my Urban Decay Naked 2 palette, which I love!. I also LOVE this Liquid Lipstick from Anastasia Beverly Hills in Vamp. I'm going to post about this hair soon. Because, it's a problem! Tank and jeans from Forever 21. Bag is a Givency Antigona. 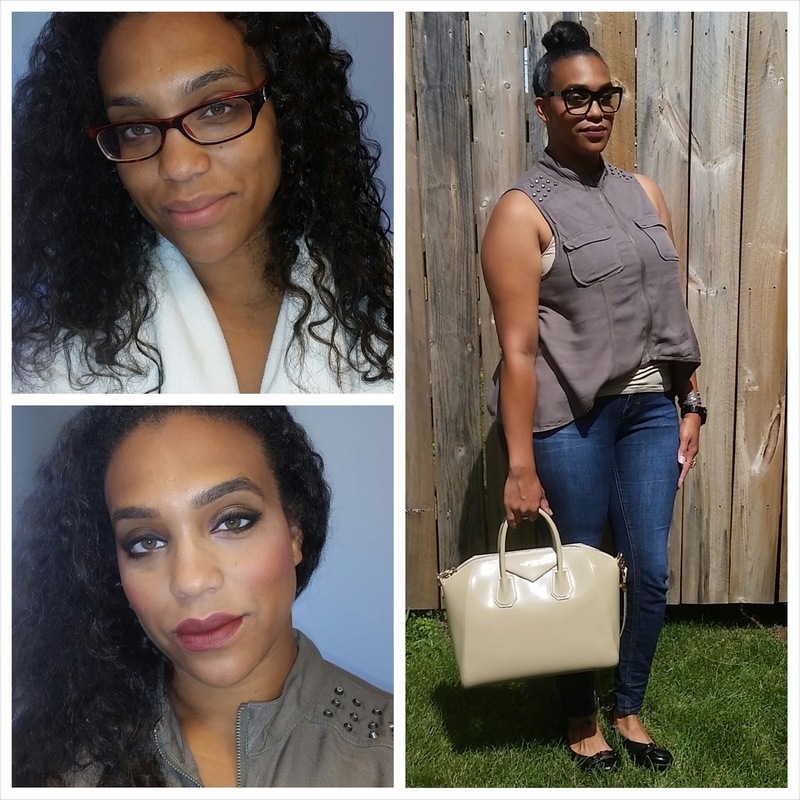 I'm thinking of doing Get Ready With Me posts/videos for the blog. What do you think??? Let me know in the comments!